Stop Paying for Typesetting Charges - Do it Yourself! 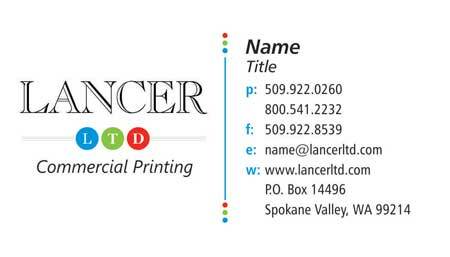 Placing an order for business cards shouldn't be as complicated as it usually ends up being! If you have a number of employees, different locations, or a high turnover, then VersaDoc is the perfect solution! Type the information into a easy to manage template, hit the PREVIEW button, and immediately receive a soft proof - no waiting for an email for a day or two! All this can be done from your home or office, at any time, day or night! Once the proof is approved...submit the order and you're done! No typesetting errors on our part, no set up costs for you to pay for each card you order! Try it out Before you Decide! Start the process by entering a quantity and hitting "ENTER"...the rest is pretty easy! You can "submit" the order once you're finished - it won't hurt anything - we'll know it's not real! ...simply fill in the form below, and your sales representative will be in contact with you about setting up your online Versadoc account as soon as possible! Phone, if you'd prefer a call! Keep in mind that business cards are just one application! If you know anyone who may benefit from this service, please have them contact us, or tell them to visit the website and try it out for themselves!